Cinnamon has been used in the medical arena for thousands of years. 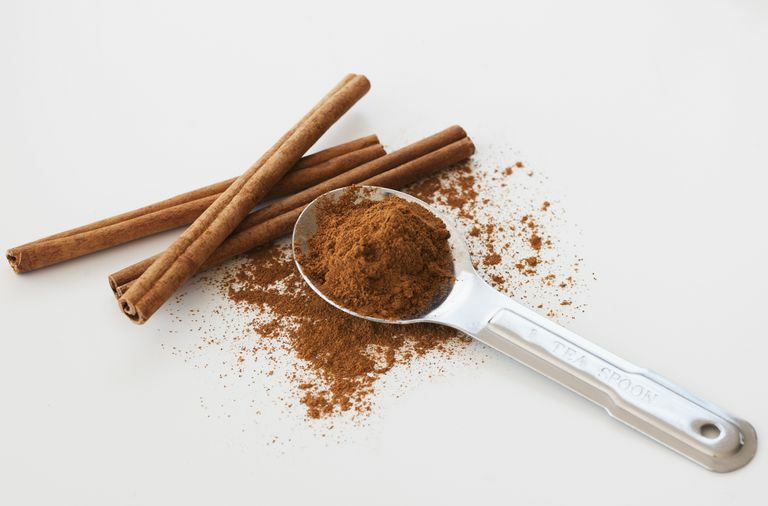 Europeans in the Middle Ages mixed cinnamon with meat as a preservative and sixth-century Greeks prescribed cinnamon to help with indigestion and other ailments. But today we're talking about the popular claims regarding cinnamon as a weight-loss aid. Cinnamon is said to increase insulin sensitivity and decrease blood sugar - both key components for losing weight and controlling type 2 diabetes. Cinnamon is also thought to boost metabolism because your body uses more energy to process the spice than it does for other foods. It’s full of fiber, a nutrient that’s essential for achieving that “full” feeling and signaling to your body that mealtime is over. Claims regarding cinnamon's impact on insulin and blood sugar are pretty credible. Just know that those findings aren't directly tied to weight loss. When it comes to being a metabolism booster, hard data is minimal. And while it is well documented that fiber helps you feel full and that a high-fiber diet can be helpful for weight loss, it's unlikely you'll get much fiber from cinnamon alone. One can only consume so much cinnamon in a day. In fact, too much cinnamon can be toxic, so don't go overboard. But cinnamon can aid in weight loss. A little cinnamon adds a lot of flavor to food for minimal calories, and that's always a good thing when it comes to your diet. An entire teaspoon has just six calories and about 2g carbs, plus a little more than a gram of fiber. Cinnamon can also enhance the sweetness in your food, which means less need for sugar or other sweeteners. In oatmeal: A sprinkle of cinnamon is a must for oat lovers! Or try cinnamon-spiked quinoa. In coffee: Don't just dump cinnamon into your coffee cup. Add it to your coffee grounds before brewing your java. It’ll flavor up basic beans, saving you money on the flavored kind. Over fruit: Cinnamon is delicious over apple and banana slices, fruit salad, pear slices, and halved peaches. It's such a simple way to step up your fruit game. In creamy treats: Stir some into fat-free Greek yogurt, low-fat cottage cheese, or light ricotta cheese. A little no-calorie sweetener is good in there too. And to take ordinary light vanilla ice cream to the next level, you know what to do. In chili: It sounds crazy, it's worth trying. A little cinnamon brings out those rich chili flavors in a way that's too good to deny.